In the last decade, the Marvel Cinematic Universe (MCU) has cast a long shadow over the rest of the filmmaking world. Beginning with the surprisingly wide-reaching hit that was 2008’s Iron Man, the series of interconnected films — now up to twenty titles and about as many billions — has redefined today’s blockbuster. Where comic book heroes were once scoffed at, they’re now the biggest box office draw in the world. Before you write that angry letter: it’s true that Iron Man was not, of course, the first superhero movie. Honestly, it wasn’t even the one that set off the current craze for caped crusaders; that honor would probably go to X-Men, which hit screens eight years earlier but stumbled with its poorly received sequels. 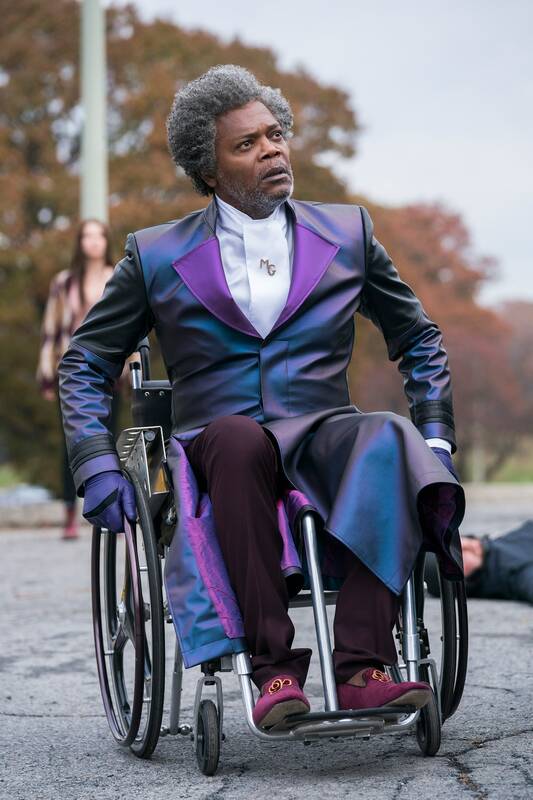 But there was another film that came out just a few months later in 2000 that it turns out has aged much more gracefully: M. Night Shyamalan’s origin tale Unbreakable, which starred Bruce Willis as an unexpected superhero. And like the Iron Man of its own little MCU, Unbreakable has spawned two follow up films that operate within the same cinematic world: 2016’s Split, which featured James McAvoy (of the X-Men series, ironically enough) as a villain with multiple personalities, and the newly released Glass, which reunites Willis and McAvoy with Samuel L. Jackson, whose Mr. Glass was the archenemy of Willis’s David Dunn in the first film. In Glass, Dunn is on the trail of McAvoy’s Kevin Wendell Crumb, hoping to put an end to the villain’s death-dealing. 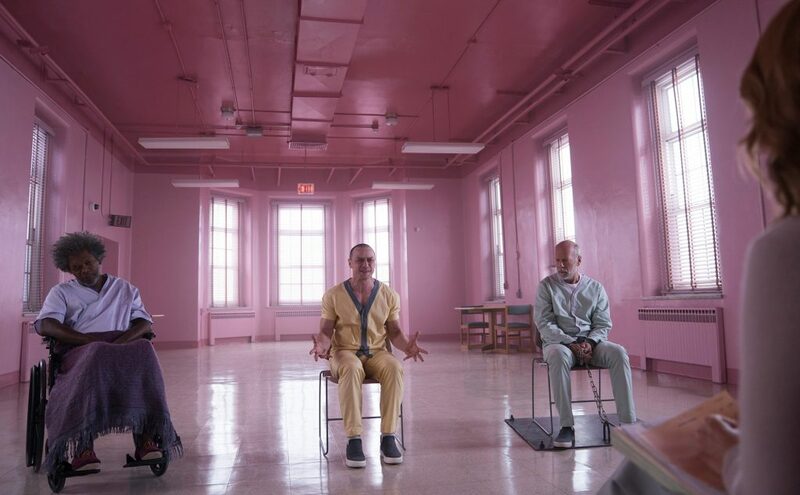 But while Shyamalan’s characters have strange abilities (Dunn is nearly invulnerable, while Crumb has a body that changes as his personalities come and go), the movies are, overall, grounded in a reality that the MCU, increasingly freighted with its own mythologies, throws out a very high window. These are not films in which the fate of the universe is decided by a bunch of people in tights engaging in a kung-fu battle with aliens. While Marvel’s heroes are literal kings, gods, and titans of industry, Shyamalan’s protagonist is a security guard with a failing marriage. That humdrum, sometimes dreary realism is given a boost by the balding Willis, who even in his most acrobatic action extravagances has always been a stand-in for the everyman. For those of us who grew up as fans of comics but are feeling shellshocked by the tidal wave that the MCU has become, Shyamalan’s trilogy represents a return to the kinds of smaller stories that made comics such an intimate reading experience, even when they were set on a cosmic stage. If you’re looking for a story that is more human than Inhuman, this may be for you. Also coming soon: Netflix made a lot of people very happy when they announced a new original series based on Jim Henson’s classic story The Dark Crystal. That long-awaited prequel is due to start streaming later this year, but Agawam Cinemas is giving Valley audiences the chance to brush up on their Skeksis and Gelflings with a special double feature screening on the 19th. Pairing Henson’s mystical, puppet-driven tale of good and evil with 80s goblin story and David Bowie landmark Labyrinth, the cinema even offers the option to have a pizza delivered in between the shows. Never has a screening so given me the cozy feeling of a good sleepover. If you want to get in on the fun, don’t wait: tickets are limited.